One of my students asked me at class last night whether he owned all of the dance trio Spare Parts' CDs. Apparently not, as he was surprised to hear about the ten-year-old Dancing by the Shore: Victorian Music from Nahant. This album seems to get less attention than their others, perhaps because the music on it cannot be pigeonholed into a single era. The word "Victorian" in the title is a bit of a stretch; more than a third of the tracks are technically pre-Victorian. The tunes for Dancing by the Shore were pulled from sheet music in the archives of the Nahant Historical Society, and the recording was originally advertised as for its benefit. Each piece has some connection to the town of Nahant, Massachusetts, which was a popular island resort in the nineteenth century. 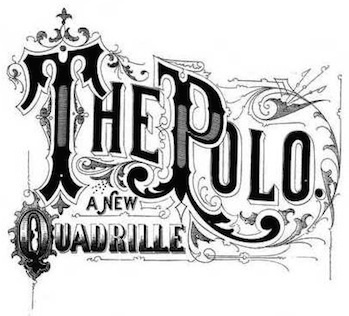 The cover image, at left, is a depiction of the Nahant Hotel in the 1850s. Spare Parts plays as a trio (of varying components), and they make high-quality, musically-engaging recordings good for both dancing and listening. That this album is great for the latter is a given. I will discuss the details of the tracks purely in the context of their usability for historical dancing. 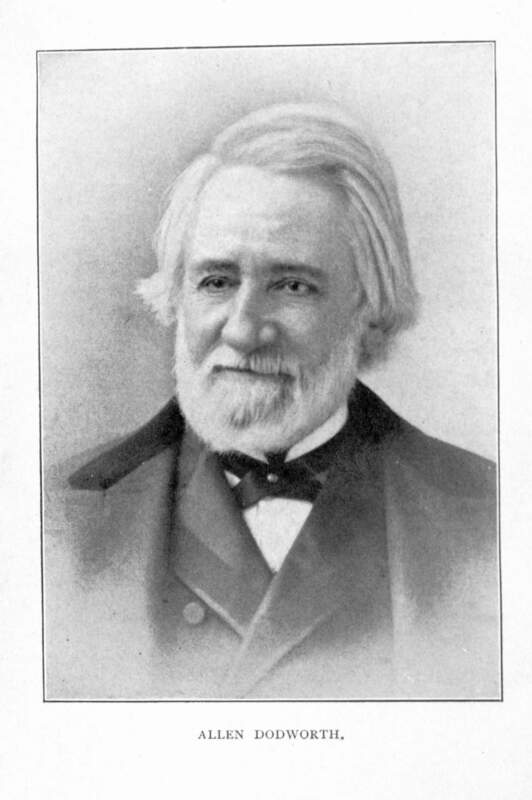 I recognized the name Francis Johnson (1792-1844) as the composer of various pieces of early-nineteenth-century American music found in library collections here and there, but I had not actually sought out his work specifically until this winter, after my dinner companion at a ball in Gettysburg in November told me a bit about his history as a famous African-American composer and bandleader who played for, among other things, society balls in Philadelphia and the summer resort town of Saratoga Springs, New York. Since I'm always interested in dance music of this era, I picked up the CD The Music of Francis Johnson& His Contemporaries: Early 19th-Century Black Composers to see what I thought of his music. From a dancer's perspective, it turned out to be a spectacularly good purchase. The sound is beautiful, and almost every track on it is useful for dancing. It's especially valuable for those willing to do a little work with music editing software. All these posts about foxtrot the last few months have inspired me to dig around in my old CDs for some foxtrot music I haven't already used a hundred times. The Whistler and His Dog: More Music from the Arthur Pryor Orchestra Collection is a very old CD (1989) from the wonderful Paragon Ragtime Orchestra, whose Knockout Drops I discussed several years ago. As with Knockout Drops, it has plenty of very danceable music. This is all the more amazing since I don't believe Paragon, which at the time of this recording was only a few years old, ever actually plays for dancers. The pieces on this CD are taken from the sheet music collection of one of Scott Joplin's contemporaries, "legendary trombonist, conductor composer/arranger, Arthur Pryor (1870-1942)" and played using period orchestral arrangements when available. Paragon notes on its website that this is the recording played by Disney on its "Main Street U.S.A." at Disneyland, Disney World, and Disneyland Paris. It's a wonderful listening CD for anyone who likes ragtime music. So what does it hold for dancers? After my experience with the first Pride & Prejudice Collection from the Pemberley Players I wasn't in a big hurry to get their second CD, The Pride & Prejudice Collection Volume II, which is subtitled "The Jane Austen Dance Kit". Once again, the music is beautiful and the playing expert...and the selection of tunes bizarre (though better than the first collection) and the repeat structures unusable for actual historical dancing without modification. Since I knew what to expect this time, I was not as disappointed as before, but I remain exasperated at the gap between the advertising and the actual music. This is a nice collection for modern English country dancers doing dances modern-style from a wide range of eras, but it is not by any stretch of the imagination a "Jane Austen Dance Kit". 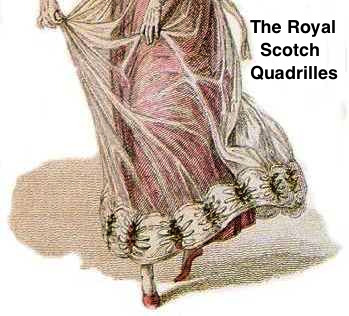 Fans of Regency-era quadrilles will definitely want Music For Quadrilles , a CD by Kevin Smith and Green Ginger (Cas Sloan and Ian & Meryl Thomson), an excellent dance band which frequently plays for Regency balls in England. The album includes three full quadrille sets as well as two Regency waltz tunes and several pieces for later Scottish country dancing that are also quite usable for nineteenth-century dance. This is one of the rare Regency (mostly) dance CDs that I can recommend without reservation. The music mix is three violins (or two and a viola) and piano, which is both beautiful and very appropriate for Regency-era dance unless one is offended by a modern piano rather than a Regency-era pianoforte. The music is for the most part documentably late eighteenth- or nineteenth-century, and sources are listed for all of it, though some are not dated and thus are something of a pain to track down. I picked up this 2002 album by the Dodworth Saxhorn Band last year when they were engaged to play for the Remembrance Day Ball I call for in Gettysburg each November. It's not specifically a dance recording, but there are three labeled dance tunes on it and a couple more that are usable as such. The Dodworth Saxhorn Band, as the name implies, consists primarily of saxhorns, a marching band instrument with a more mellow sound than a modern brass band. The saxhorn apparently was particularly popular with Civil War-era marching bands, and the group uses original instruments built between 1840 and 1900 and tuned to a high pitch, nineteenth-century style, for a very authentic sound. The Dodworth of the band's name refers to the family of New York dancing master Allen Dodworth, who had a notable career as a musician, composer, and bandleader before turning to dance. The group is modeled on the Dodworth family's own band, founded in 1825 by Allen's father Thomas and reformed in the 1830s by Allen himself first as the National Brass Band and then as the Dodworth Band. Most of the nineteen tracks on Home Sweet Home are songs or concert pieces from the era, including a short rendition of "Yankee Doodle" and popular pieces like "Goober Peas" and "The Battle Hymn of the Republic." An exception in this otherwise-period set of selections is "Ashokan Farewell", a modern piece by Jay Ungar which is associated with the Civil War because of its use in the Ken Burns documentary . But for the dancer, the pieces of most interest are the dance tunes. These include the familiar "Prima Donna Waltz" and "Cape May Polka", both well-played at danceable tempos. It's nice to have new versions of these old favorites with such an interestingly different sound. The third labeled dance piece is the "Jumping Galop", played at a very brisk 150 beats per minute. While period dancing masters do suggest high speeds for the galop (Dodworth himself suggested 152, and his contemporary M.B. Gilbert listed 144), most modern dancers are more accustomed to around 125, so this tempo may be a bit of a shock. Two tunes not labeled as such, but usable as slower (around 125 bpm), less driving galops are "Skyrockets" and "Listen to the Mockingbird". The latter includes mockingbird noises. The "Dixie Medley Quickstep" is a nifty little medley, but at less than two minutes long it is not a workable length for a Grand March. While not primarily for dancers, dance music played on authentic instruments is not easy to come by, so Home Sweet Home is worth picking up despite the few dance tunes, and will be even more enjoyable for anyone who likes nineteenth century vocal music. It is available from CDBaby and a number of other online retailers. Excerpts may be heard on the band's Myspace page. I'm always interested in suitable dance music for the Regency/Jane Austen era, but having expected that, I was very disappointed in The Pride & Prejudice Collection from the UK-based Pemberley Players that is subtitled "A Selection of Dances Popular in the 18th and 19th Centuries." The Pemberley Players are an English quintet under the leadership of David Fleming-Williams that specializes in playing country dance music. They have an absolutely lovely sound: a piano, two violins, a cello, an a flute. I suspect they aren't using an 18th-century piano, but I don't know enough about the difference in sound for it to matter for me. The strings are beautiful, and the instrument mix very suitable for the era. You can tell this is an experienced dance band: they keep their tempos steady and avoid artsy tricks that make things difficult for dancers. It's a lovely listening experience. As a source of usable period dance music, however, it's got some problems. The very short version of this review is: historical dance band Spare Parts' The Regency Ballroom is one of the very best and most diverse recordings available for Regency-era dance music, and everyone should go out and get their own copy to support the making of such recordings. But first, a disclaimer: the musicians of Spare Parts are personal friends, the band has played for my Regency Assemblies for the past several years, the selection of dances on this CD parallels the program of those Assemblies, and I served as one of the dance consultants for the recording and thus received a copy of it for free. Unsurprisingly, I am very pleased with it. I do not, however, receive any financial benefit from its sales or anything like that. So what's on the CD? I'm frequently asked for recommendations for period dance music, especially for the turn-of-the-century ragtime era of the 1890s-1910s. Fortunately, there are quite a few CDs which are commercially available and useful to the social dancer, among them the Paragon Ragtime Orchestra's 1997 album, Knockout Drops . The Paragon Ragtime Orchestra is a leading exponent of vintage American popular music with the rich and varied sound of a twelve-piece orchestra (wind, brass, percussion, and strings). 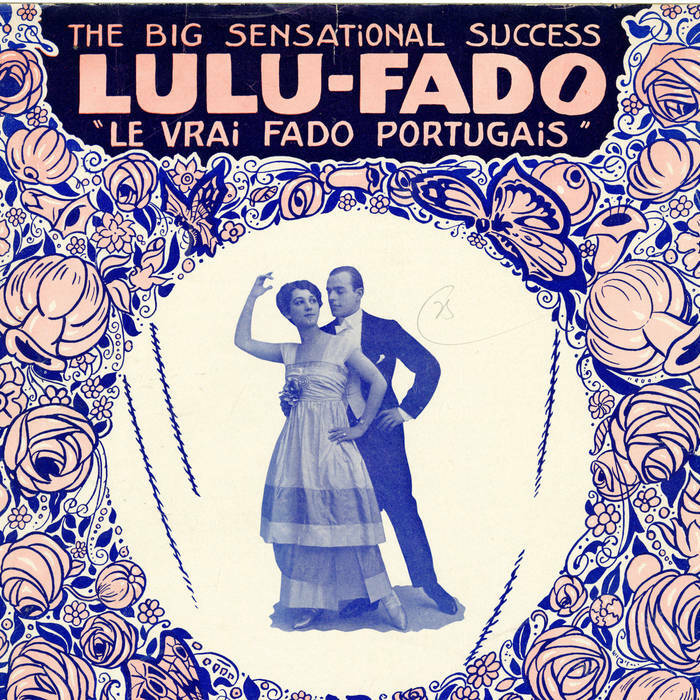 Working from period orchestral scores, they play concerts, radio shows, and silent film programs as well as producing several CDs and a DVD with their accompaniment to the silent film, The Mark of Zorro. Though as far as I can tell they do not play for dance events, they include a great deal of lively dance music in their repertoire, much of which is played in a way usable for dancing (not always a given with music played as concert pieces). I recommend Knockout Drops for anyone searching for good one-steps and two-steps as well as for those who simply enjoy popular American music of this period. a ribald allusion to the shocking modis-operandi of the White Slaver, much in the news that year with the passage of a Federal law "prohibiting the interstate transportation of women and girls for immoral purposes." Musically, Knockout Drops features a rich selection of popular tunes of the ragtime era. It includes two Scott Joplin rags and a Sousa march as well as good recordings of old favorites such as "The Teddy Bear's Picnic" and "At a Georgia Campmeeting." One-step and foxtrot medleys incorporate tunes such as "I Ain't Got Nobody" and "Ragtime Cowboy Joe," and an amazing 1905 two-step medley includes a whole cornucopia of Civil War-era songs from "Battle Hymn of the Republic" to "Dixie."